There have been any number of films in which criminals try to turn their lives around and go straight, often with poetically tragic results. WELCOME TO PINE HILL isn't one of them. Shannon aka Abu (Shanon Harper) is a young black man working as an auto insurance claims adjuster. When an old friend from his former life as a drug dealer asks him to hold something, our experience with other films tells us to expect Shannon will be dragged back into a life of crime. Instead, it turns out to be a fairly minor aside, serving mainly as a reason for these two friends to reconnect, and to show the contrast between the two paths they're on. After experiencing stomach pains for some time, Shannon goes to his doctor and learns he has a rare kind of cancer. There is no cure, and chemotherapy might buy him a few more months at best. Shannon is devastated. Here, again, might be a point in the story where another film might send Shanon back to settle some old scores before dying. That kind of happens here, but not in any kind of action movie way. Instead, Shanon tries to do his best to make peace with his life and the people in it before it's too late. As in real life, though, mending broken relationships isn't always easy or instantaneous. These days, the term “indie film”, not unlike “alternative music”, is more of a marketing term than an accurate description of the material it gets applied to. Most indie films these days are actually made and/or distributed by smaller divisions within major studios. They tend to have name stars in their casts, they tend to be fairly slick and professional, and they tend to deal with relatively safe subject matter. Don't get me wrong, this approach has resulted in some good movies. The kind of movies the mainstream studios used to release under their own banners before they became obsessed with having every single release be a 200 million dollar blockbuster. But they aren't indie films in the true sense. 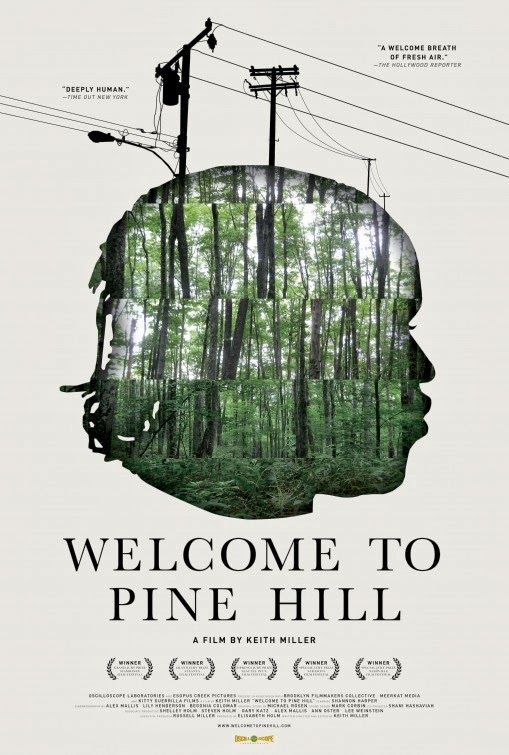 WELCOME TO PINE HILL is the real deal. There are no recognizable stars. In fact, most of the cast are non actors. The budget is miniscule, but there's nothing in the film that would require millions of dollars to realize. It's rough around the edges at times, and perhaps could have benefited from someone other than director Keith Miller handling the editing, but any shortcomings are more than compensated for with a genuinely compelling and emotional story and an indelible performance by Harper. 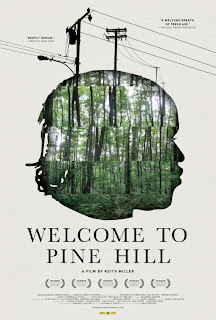 Mixing fact and fiction (the opening scene of the film is pretty much how Miller and Harper met in real life), WELCOME TO PINE HILL is able to get at some deeper truths. That the ending won't be a happy one is a foregone conclusion, but the film manages to get there in a fashion more bittersweet than depressing. There has been some criticism directed towards the film for being directed by a white guy. I guess I can see that as a gut reaction, but after watching the film it seems considerably less relevant. Keith Miller's addresses the issue directly in a piece for the Huffington Post that, to me at least, makes his case quite strongly. But to each their own. We may all see the same movie, but our experience and interpretation of them is different (see ROOM 237 for some extreme examples). Personally, I didn't see the key theme of the movie as being about race. There are some areas where it comes into play, but ultimately this is a film about someone trying to achieve closure and make his exit with dignity and as few lingering regrets as possible. That's not a black thing or a white thing; it's just a human thing. 3 1/2 out of 4 stars.